Thousands of protesters have come out onto the streets of Hannover, Germany to say 'No' to the controversial TTIP US-EU trade deal. Many in Germany fear it will reduce consumer protection and undermine workers’ protection. I highly recommend watching this video. The spokesman at the end does an excellent job of explaining European opposition to TTIP. A Leftist politician in ‪‎Ukraine‬ was attacked today by Azov battalion fascist paramilitaries for speaking out against the "ATO" - the war against the Russian speaking citizens in Eastern Ukraine (Donbass). When the representative of the "Union of Leftists" Vasyl Volha arrived in Zaporizhia he was met with a storm of criticism by nationalists in the city. Volha was not allowed to hold a proper news conference. He was surrounded and given 10 minutes to make a statement and leave "in good health". He said that the ATO needs to stop and that the Ukrainian leadership have become rich thanks to the war, earning billions from it. 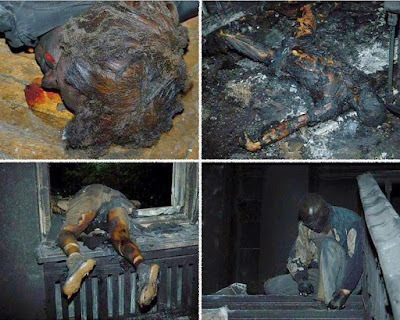 The US and NATO have been funding their puppet Kiev regime's war on the Donbass. After a few minutes, Volha was rudely asked to leave, but he didn't. Then Azov battalion came and you can see the rest in the video. Interview with John McAfee, cyber security expert, inventor, entrepreneur, and creator of McAfee antivirus. 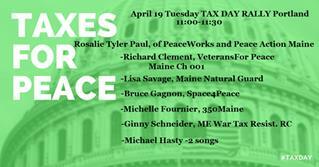 April 19 Tax Day news conference in Portland, Maine. In my words I made one factual mistake. I said space technology is costing $100 million per year, I meant to say $100 billion per year. Thanks to Martha Spiess for organizing the news conference and inviting me to participate. The event was covered on Maine Public Radio and one Portland TV station. I really believe in doing Tax Day events. It is a time when people are thinking alot about where their hard earned tax dollars are going. On April 15 when we handed out flyers in Brunswick at the post office my opening line was "Want to see where your tax dollars are going?" Many people said, "Yeah I know where they are going...."
I've felt for many years that the public is on our side more than we realize - they are not stupid. They just don't believe there is anything we can do about all the Pentagon waste and cost of endless war. My own mother used to say all the time - "You can't beat city hall." But my mother also used to read me the children's book called "The little engine that could" - all about a little train that everyone thought would never make it up the big hill, but it did. I think that book must have helped turn me into such a stubborn guy. So my organizing strategy is to stay on the case - never give up - find many different ways to keep making the same point. Get artists involved to help reach people that are visual learners. Use music. Organize peace walks through different parts of the state. Use social media. Write letters to local papers. Hold small vigils and larger protests regularly. Send delegations to politicians offices. Studies say that people need to hear things 6-7 times before it sticks in their busy brains. So keep pushing the rock up the hill. History shows that now and then walls do come down, humanity makes a great leap forward, miracles can happen. This video shows how space technology plays a fundamentally key role in all Pentagon military operations these days. The cost of tying all these space and ground-based systems together is beyond imagination. The profits for the corporations doing 'space technology business' is what the industry claims will be the 'largest industrial project in human history'. How can Congress afford to pay for all of this? Only one answer - destroy social programs including Social Security and Medicare. You want to help defeat Star Wars? Fight to maintain social progress back home. 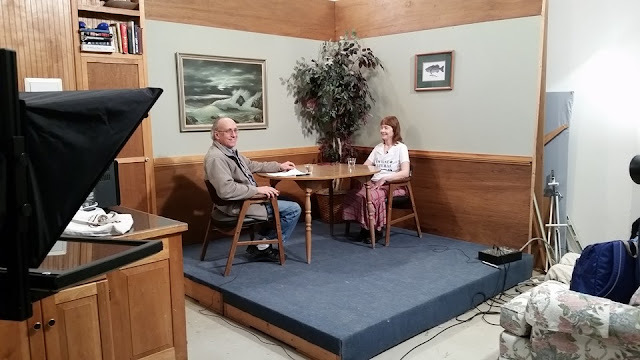 I taped my 131st public access TV program (This Issue) today with guest Lisa Savage from Solon, Maine. Lisa is one of the great activists in our state, and a high school teacher as well, so it was fun to have her on the show. She's very articulate and knows how to say alot in a short period of time which makes her a perfect guest. Lisa has recently created a new group called the Maine Natural Guard. She's put a pledge on the web site asking people to promise they will make the connections between climate change and the fact that the Pentagon has the largest carbon bootprint on the planet. She urges people also to pledge that they will call for the conversion of the military industrial complex so that we can retool our domestic infrastructure around solar, wind, rail, tidal power, energy conservation and more. I first heard the expression Natural Guard back in the 1980's when a peace group in South Carolina used the words as they were organizing to get the public to pay attention to the environmental mess that resulted from the Department of Energy nuclear bomb plant at Savannah River. I've been trying to keep the idea alive since then and am so happy that Lisa has done something really creative with the expression. We need to offer solutions and the Natural Guard surely is a good one! We had a great crew working in the Harpswell studio today that included Dan Ellis, Peter Woodruff and Regis Tremblay. One of the two studio cameras went on the fritz in the middle of the show but thanks to the quick thinking of Dan and Regis we kept humming along with just one camera covering the interview. We turned to CNN last night just after the polls closed in New York at 9:00 pm and heard the report that exit polls (normally considered reliable) were reporting that Clinton won the race 52% to 48% - a four percent margin. Anything that close would be considered a 'Yuge' loss for Clinton. But then later we learned that Clinton 'won' the primary by a margin of 57.9% for her to 42.1% to Sanders. Indeed what happened to the exit polls? There were reports that some New York City precincts opened two hours later than they were supposed to, and would-be voters whose names couldn't be found on registration lists. Meanwhile, the Wall Street Journal reported that "[a] number of voters said they showed up at their usual polling sites to discover the site had been moved without notice, sending them across the neighborhood searching for their new voting location." The New York City Comptroller says that the New York City Board of Elections "confirms" that "more than 125,000 voters in Brooklyn were removed from voter rolls." No figure is given for how many were removed in New York's other massive Boroughs, nor how many voters had their registrations listed incorrectly. But these are massive numbers, able to swing the election either way. Now is all this just gross incompetence or are we witnessing a systemic suppression of the voting process across America? For me, having lived in Florida during the infamous 'hanging chad' election in 2000, I am clearly convinced that the corporate oligarchy uses elections to create the illusion of democracy but that they use many different tools to fix (rig) elections to put in place the candidates that they sponsor. Forget the fact that in New York 30% of eligible voters across the state were not allowed to vote at all because they are 'independent'. Even Bernie Sanders, who has been quiet during recent rigged primary elections in places like Arizona and Nevada, last night said, "I am concerned about the conduct of the voting process in New York." A pretty mild statement for sure but at least he finally said something! In a recent interview former Libertarian-Republican Texas congressman Ron Paul says, "I see elections as so much of a charade,” adding that elections are rigged and claiming that “so much deceit goes on. I’ve worked on the assumption … for many, many decades, that whether there’s a Republican or a Democrat president, the people who want to keep the status quo seems to have their finger in the pot and can control things. I don’t think there’s an easy way out for the establishment or the parties," he noted, explaining that Democrats and Republicans would both rather risk "further alienation of the people" than allow a candidate to succeed who could shake up the system. The corporate masters want Hillary Clinton as president and they know that the vast majority of the public does not like her. So they knew they had to come up with an even more hated Republican candidate who voters would fear so much that they'd hold their noses and pull the lever for Clinton. Thus we see the reason that Donald Trump is in the race and will likely be the Republican nominee that will face Clinton in November's general election. Unreported in all the election news today is that Green Party candidate Jill Stein's campaign has just qualified for federal matching funds. This is a first for the Green Party in the US and means that Stein's campaign will get up to $230,000 which is alot for a grassroots campaign. Stein writes: "Qualifying for matching funds will allow us to hire key staff, put major resources into urgent priorities like ballot access and volunteer organizing, and much, much more. It will supercharge our ability to reach the millions of Americans ready for a new kind of politics that puts people, planet and peace over profit." It will be interesting to see if Bernie Sanders turns around and endorses Clinton after the Democratic 'super delegates' hand the nomination to her. Millions of people who threw their hearts and souls behind Sanders will have a big decision to make - do they betray the call for 'revolution' by voting for Hillary or do they turn to the Green Party which offers the opportunity to keep the momentum going for building a real and much needed revolution in the US? Woody Guthrie tells the story about the Ludlow Massacre and the violent deaths of 20 people, 11 of them children, during an attack by the Colorado National Guard on a tent colony of 1,200 striking coal miners and their families in Ludlow, Colorado on April 20, 1914. I was up early this morning to catch a ride with Mary Beth who travels the 45 minutes to Portland for work each day. I was invited to speak at the Tax Day news conference held there at 11:00 am. Since we left home at 7:00 am I had some time on my hands. After going to Portland's iconic Becky's Diner for breakfast I went to a local coffee shop and pulled out my computer for a couple hours of work before the event began. Martha Spiess did a nice job of organizing the news conference and Maine public radio and one TV station came out to cover the event which ain't too bad around these parts. I spoke about the need to convert the military industrial complex at places like Bath Iron Works here in Maine and told how they'd double the jobs there if they built commuter rail systems. Like most people I've been following the run-up to today's New York primary. Last night I saw that Hillary Clinton had said that Bernie Sanders opposed abortion which of course is a ridiculous statement but it must indicate that her support amongst women was dropping. So like she always does when she is in trouble Clinton just threw out another of her many lies. The other thing of considerable note is the voter suppression that is going on by the Democratic Party to discourage voting. I saw that thousands of people had their party affiliation changed in the computers without their permission likely making it impossible for them to vote today. You can see one such story here. In Brooklyn more than 126,000 names have been purged from the voter lists. See that story here. If the corporate masters can't win an election the fair way they will always try to cheat. Those who run the Democratic Party are doing every thing they can to hand the nomination to Clinton. A study has revealed that 10 popular California wines contain traces of the toxic herbicide glyphosate, the active ingredient in Monsanto’s weed-killer Roundup. Even organic wines were affected. RT America’s Brigida Santos joins Simone Del Rosario to break the study down. On May 2, 2016, a memorial will be held in Odessa, Ukraine, to honor the memory of scores of prodemocracy activists who were brutally murdered on that date in Odessa two years ago. There is no reason for the City authorities to forbid a peaceful memorial, but rightwing radicals, some of whom are believed to have been involved in the events of 2014, have declared that they will not allow it to proceed. The tragedy of Odessa and the continuing danger of rightwing [fascist] violence in that beautiful city is of growing concern to decent minded people around the world. Therefore, we the undersigned representatives of human rights organizations in the United States and other countries hereby call on the governments of Odessa, Ukraine and the United States to ensure that the civic rights of those attending the May 2 memorial in Odessa will be respected, including the delegations of international monitors who will be present on that day. We further respectfully appeal to the United Nations Human Rights Committee to initiate an international investigation into the events of May 2, 2014, as requested by family members, friends and supporters of those who died on that day. According to widely published reports, protesters opposed to the February 2014 coup that overthrew Ukrainian President Viktor Yanukovych had set up a symbolic tent city in Odessa’s Kulikovo Square, in front of the five story House of Trade Unions. On May 2, rightwing soccer fans, whipped up by procoup activists, attacked and burned the tent city, driving the much smaller group of protesters into the union building. The mob then set the building on fire. At least 46 people died from burns, smoke inhalation, gunfire and beatings. Many more were wounded. 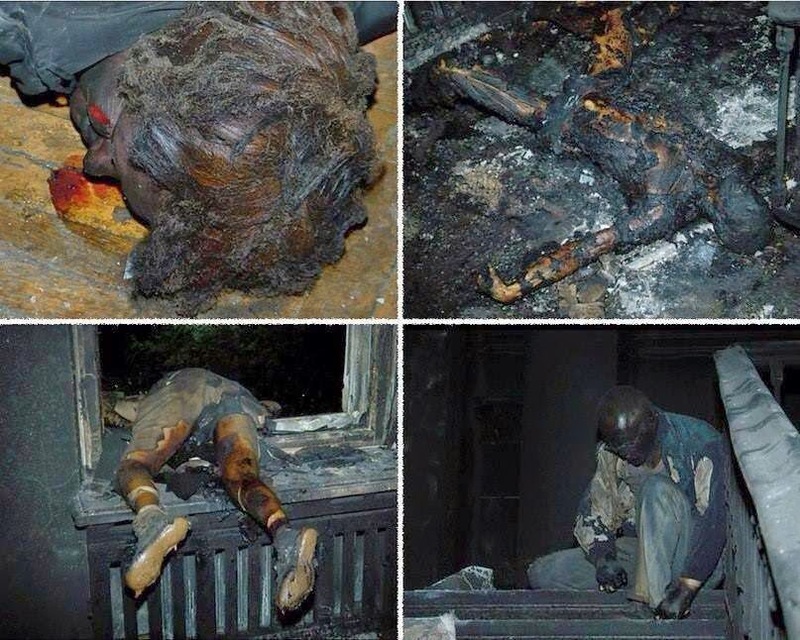 It was the worst case of violence in Odessa in many decades. Ever since the massacre, representatives of the families of those who died have held weekly vigils to honor the memory of their loved ones. Many of these memorials have been harassed by procoup groups. As recently as April 10, a large gathering of people celebrating the liberation of Odessa from Nazi occupation was attacked by rightwing thugs. These same forces now are threatening to physically prevent the second May 2 anniversary memorial from taking place. At a formal meeting of the U.N. Human Rights Committee held on March 21, 2016 in Geneva, family members and their supporters asked the committee to initiate a longoverdue impartial investigation into the events of May 2, 2014. For their part, the procoup forces are expressing their opposition to such an investigation. This contradiction alone should make clear which side wants the truth to be revealed and which side wants it to remain hidden. Again, we call on the United Nations to initiate the requested investigation. And we call on the governments of Odessa, Ukraine and the United States to ensure that the civic rights of those attending the May 2 memorial in Odessa are respected. 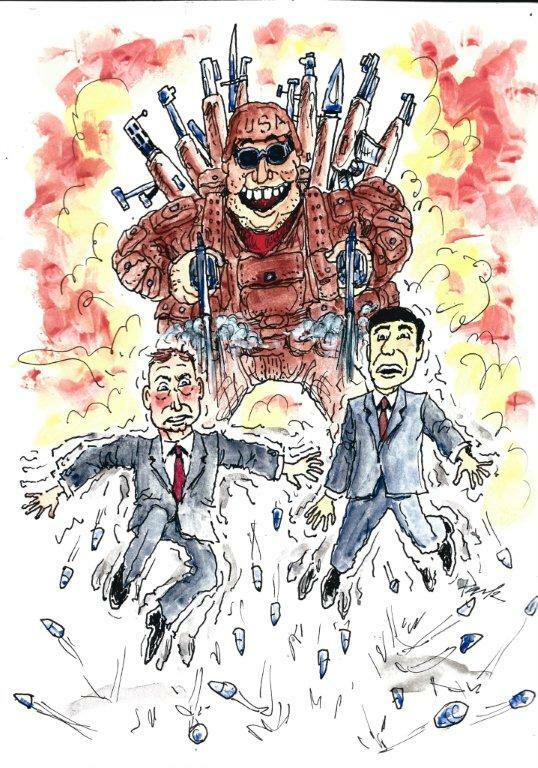 This statement was initiated by the United National Antiwar Coalition (www.UNACpeace.org), a broad coalition of peace and justice organizations in the United States. UNAC encourages the circulation of this petition among peace and human rights organizations all over the world.